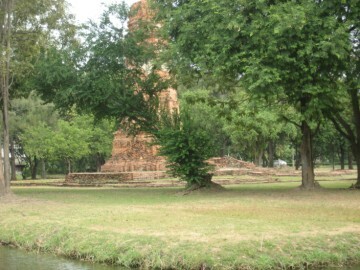 surrounded by a moat and as thus difficult to visit. 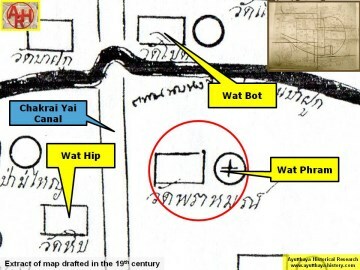 map drafted in 1926, which shows an empty space in that area. 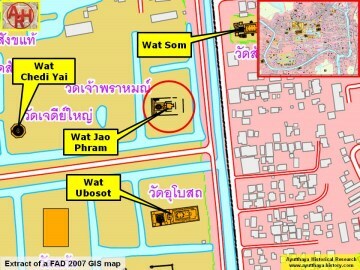 been known as Wat Khun Lok. 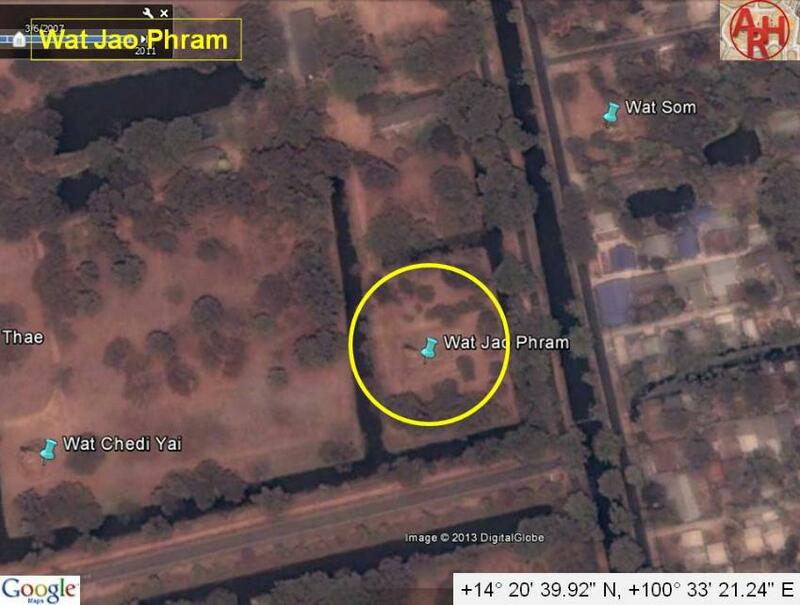 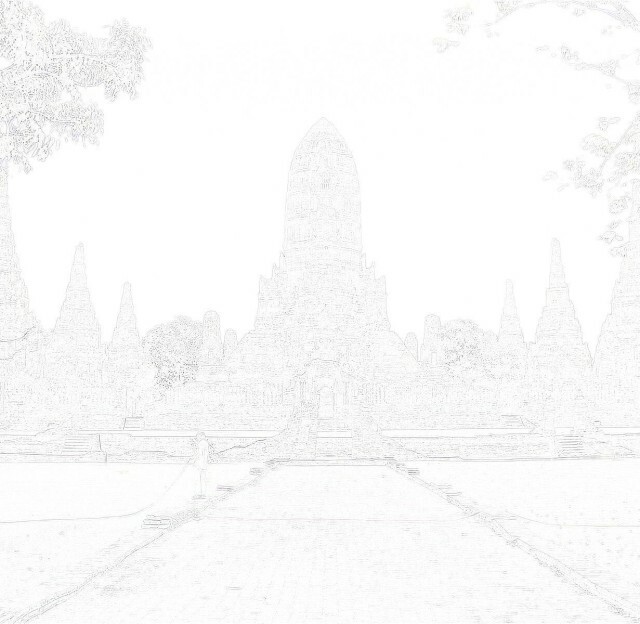 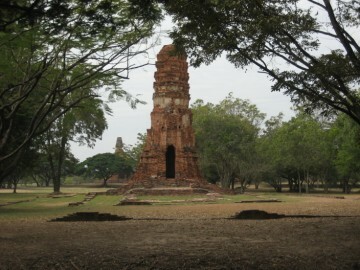 The site is located in Geo Coord: +14° 20' 39.92" N, +100° 33' 21.24" E.
 Ayutthaya Historical Park - Fine Arts Department (2003) - page 62.